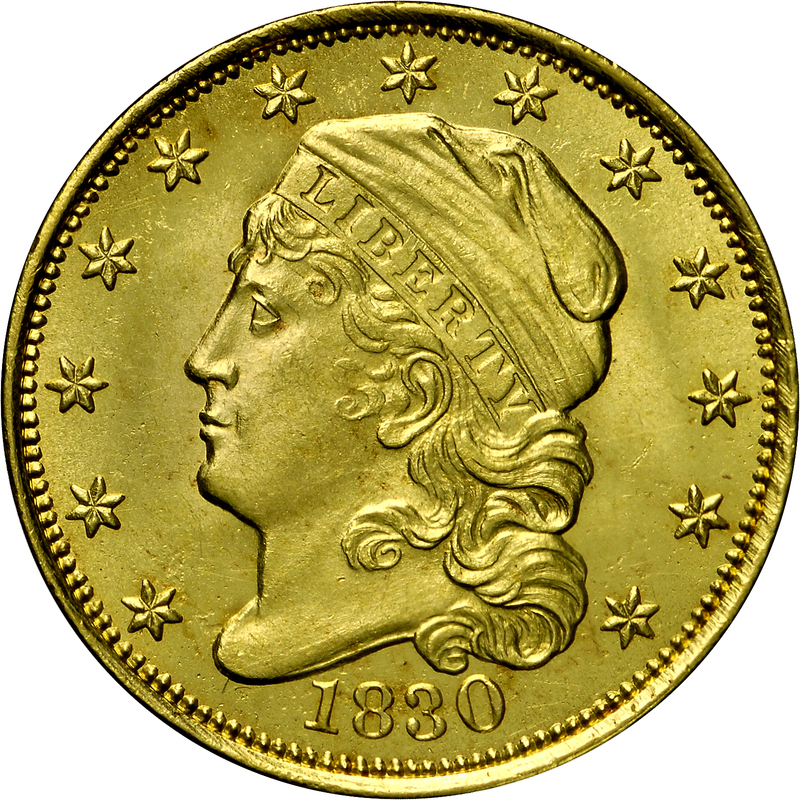 This is an exceptional Mint State survivor from a limited mintage of 4,540 coins and was described as one of the finest known when offered at auction in 1985. 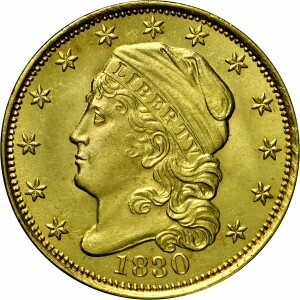 Approximately 100 examples survive from the mintage, mostly in higher circulated grades. 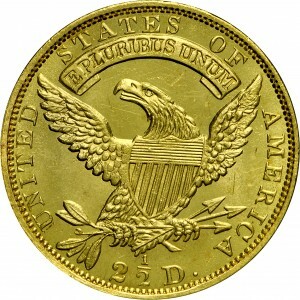 This reverse die made its debut this year and remained in service through the end of this design type in 1834. Throughout this period, mintages remained very close each year. 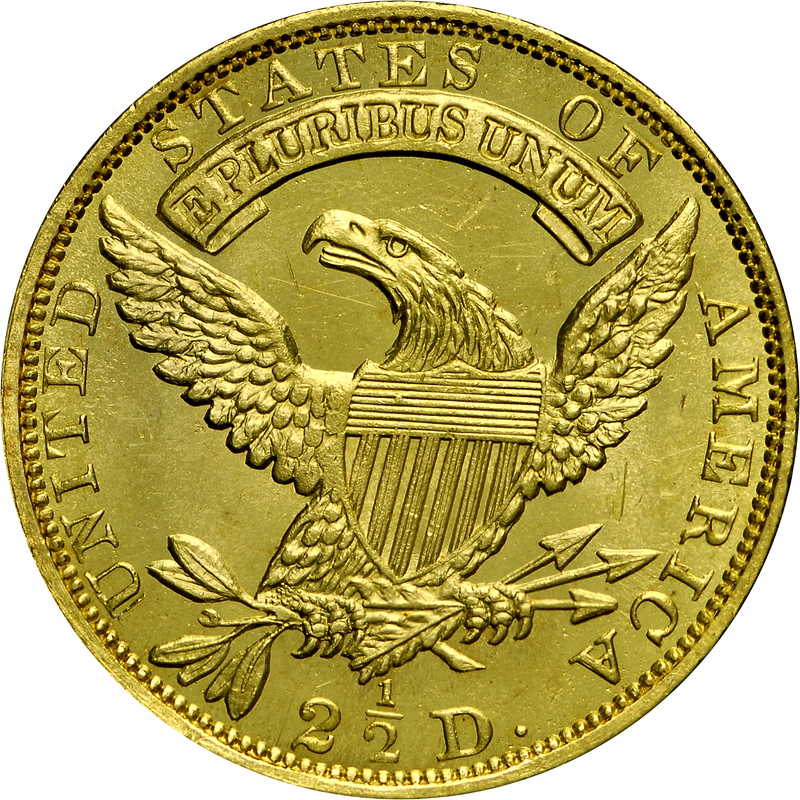 In each of these years, just one obverse die was used with this common reverse, thus each coinage date is known through a single die variety. From RARCOA's session of Auction '85, July 1985, Lot 363. "Reverse: New die. Recut U. Used thru 1834 With Motto."